We've been impressed with what Microsoft has done with the Surface Book laptop series so far, even though it's only been with us since October 2015. After the original laptop, then the specs boost in 2016, the question is: what has Microsoft got planned for 2017? The series certainly seems popular enough for Microsoft to carry on further down this road (the launch of the Surface Studio backs that up too) so a Surface Book 3 is very much on the cards, even if Microsoft hasn't publicly admitted as much. Here's what's on the cards. 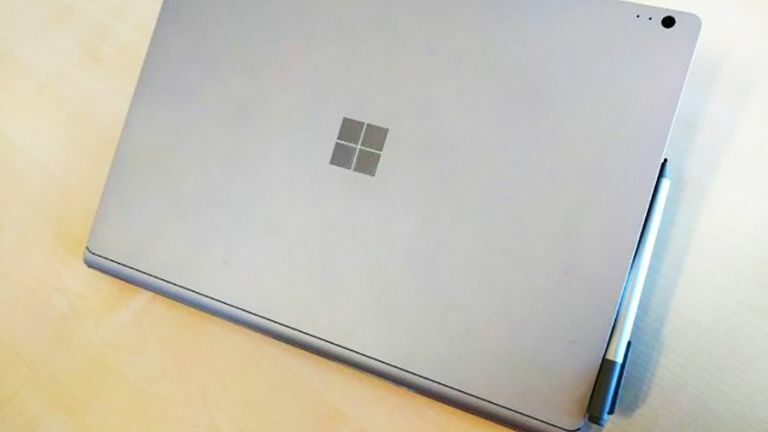 It was something of a surprise when the original Surface Book was unveiled by Microsoft in October 2015 - a company that had previously relied on some trusted hardware partners to make Windows laptops was now taking matters into its own hands. The first Surface Book looked good, performed well, and was a hit with users, even if there were one or two teething problems. Thanks to the groundwork laid by Windows 8, Windows 10 and the Surface Pros, the laptop came with a detachable screen that meant it could be used as a tablet as well. Microsoft was taking direct aim at Apple and showing its hardware partners just how to make the ultimate 2-in-1 as well. Fast forward to October 2016 and we got a new model - not quite a Surface Book 2.0 (at least not officially), but better battery life and improved specs to boot. It made the laptop an even more appealing proposition for power users. Despite rumours to the contrary, the updated Surface Book stuck with the distinctive fulcrum hinge, and design-wise hardly changed from its predecessor. Now 2017 is upon us, which means we can start looking forward to whatever's next. October 2015 for the first Surface Book... October 2016 for the updated model... the pattern's obvious, right? The clever money would certainly be on October 2017 for another refresh, and it could well be a bigger update than the one we saw in 2016. Do laptops really need updating once a year, though? Some would say yes; Apple would probably say no (based on the history of the MacBook anyway). Remember laptops are not made in isolation: Intel's seventh-generation Kaby Lake CPUs weren't ready for mass production when the second Surface Book came out, but now they are, just about - and that might be enough to prompt a refresh in October 2017 or even before. There's another big Windows 10 update coming out before the summer as well, and the Surface Book 3 may well be configured to take advantage of its new features - like 3D updates to some of the applications. Speaking of other hardware - which we were just a moment ago - the public launch of the HoloLens (date to be confirmed) is as good a reason as any for Microsoft to bring out a Surface Book 3. The laptop may well be compatible with the AR headset and with the cheaper VR Windows-compatible headsets now making their way to the market. In terms of actual Surface Book 3 rumours, they're pretty thin on the ground right now - after all, there are even fewer innovations left to try on laptops than there are on smartphones (waterproofing?). There have been a few whispers that the rather unconventional 3,000 x 2,000 pixel display on the first two Surface Books is going to switch to the standard 4K resolution - 3,840 x 2,160 - instead. That would make sense, since the aforementioned Kaby Lake CPUs from Intel have been designed with 4K and 3D in mind. The rather fiddly - if eye-catching - fulcrum hinge system could also be in line for a revamp. Microsoft's own Surface Instagram account has hinted at this, before our hopes were dashed when it was pointed out that the picture was in fact just a modified promo shot of the first Surface Book. We're not particularly fussy when it comes to our laptops: just a few improvements in performance, display quality, battery life and noise levels would be fine with us Microsoft. And if you get chance to tighten up that hinge mechanism too, so much the better. We've already mentioned the likelihood of Intel's Kaby Lake processors coming to the Surface Book 3, which should be enough to guarantee better performance at the same time as less drain on the battery. We're particularly keen to see the tablet (or the screen) part of the Surface Book get some improvements, because it's been one of the few disappointing parts of the device so far. Better battery life away from the keyboard would be welcome. The Surface Book i7 is a well kitted out device, with an i7 processor and up to 16GB of RAM, and aside from the Kaby Lake upgrade, there's not too much more Microsoft can do. A 32GB option is a possibility for the Surface Book 3 as Microsoft looks to stay ahead of Apple's MacBook Pro line.